Such a survey is done during subdivision, alienation, amalgamation of lots. 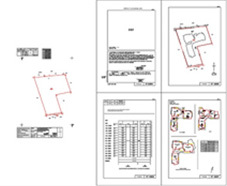 A Certified Plan is prepared to determine the area boundaries of new lots. Once approved by Chief Surveyor, Singapore Land Authority it becomes a legal document used to support the issue of title. The purpose of such a survey is to assist in engineering or construction projects such as developing a house, condominium, shopping complex or bridge. It includes setting out piling works, grid lines etc. 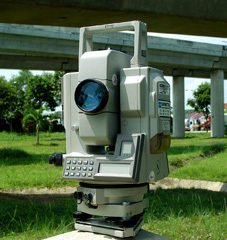 We provide the initial topographic surveys necessary for the conception of the new project and subsequently locate and mark centrelines, determine elevations along and across the centreline (profiling), staking out extremities for cut and fill, computation of earthwork volume, determine drainage areas for culverts and ditches, layout of structures such as bridges and culverts and location of right of way boundaries. 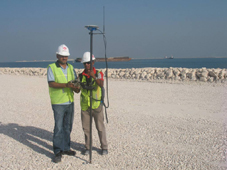 The purpose of a Topographic Survey is to gather survey data about the natural and man-made features of the land, as well as its elevations and to produce a plan showing these features. This survey is carried out conventionally and also by using lidar technology that measures distance by illuminating a target with laser light. Lidar sensors are used to create a Digital Elevation Model which helps to capture full 360 degrees data in a single trip. 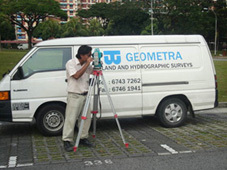 This survey is carried out to monitor (bridges, tunnels, high-rise structures) the position and/or level of monitoring points to gauge whether there has been any movement over a specified period of time (usually an area in or surrounding construction works). It is a repetitive survey conducted at regular intervals such that the data collected over time can then be analyzed for a trend to determine any movement. 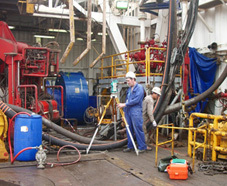 We specialise in Derrick, Dolly Guide Rail and Top Drive alignment surveys.